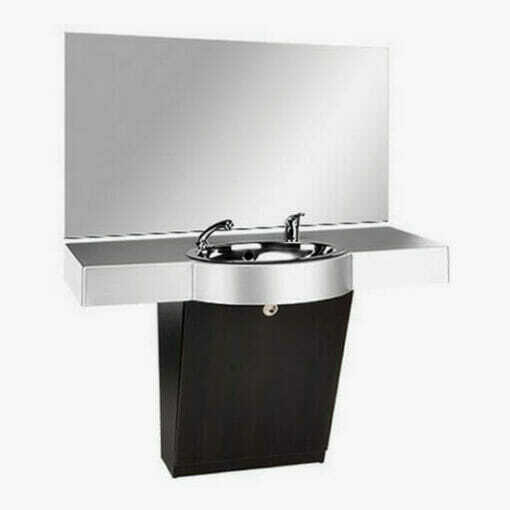 A classically designed barbers unit with either a durable plastic or a panel beaten stainless steel top. The Ayala Baron is a classically designed styling unit with a choice of either a durable plastic or a panel beaten stainless steel top surface, both with a polished stainless steel basin and taps. 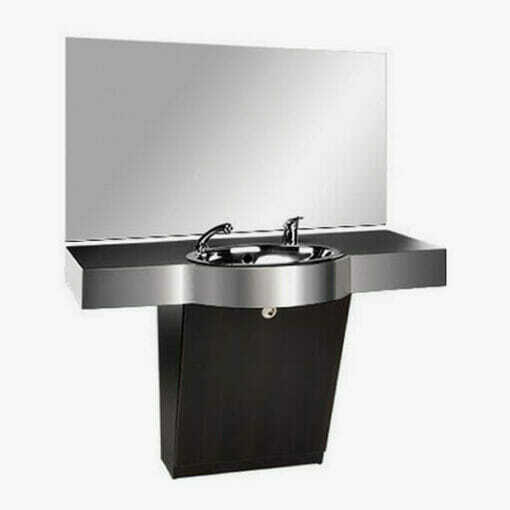 With its large mirror and spacious work surface, this unit is ideal for any professional barber shop or hair salon. 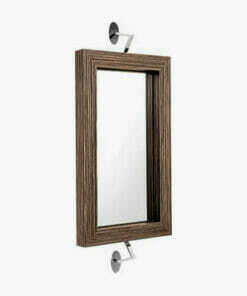 The base unit of the Baron comes available in a wide range of Ayala laminate woods and features a pull off access panel for plumbing maintenance. 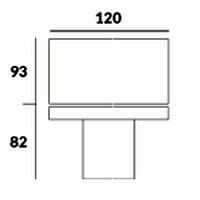 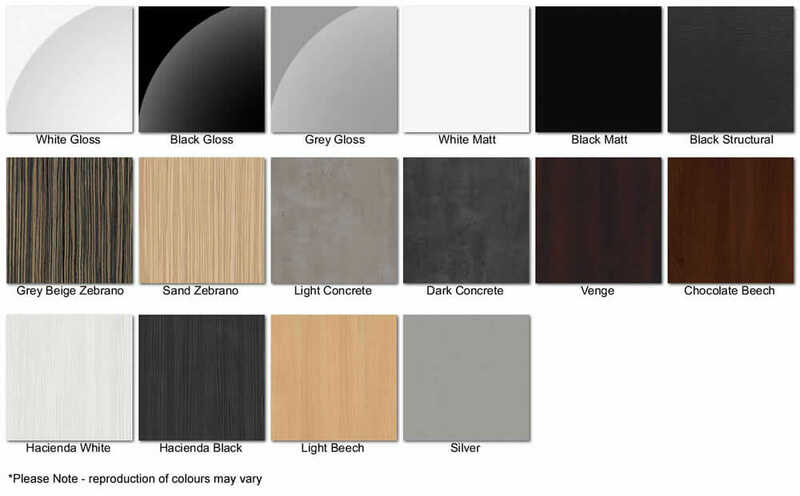 Please use the drop down boxes to select your surface type and laminate wood. 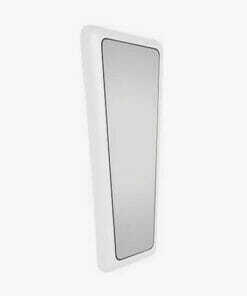 A compact styling unit with an innovative design and affordable price. 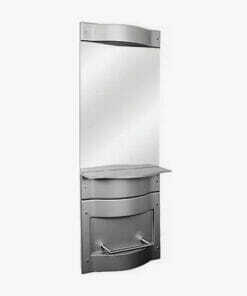 A stunning and elegantly designed two position styling unit with large mirror with surround lighting. 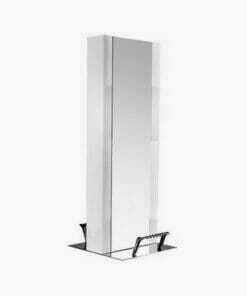 Reflection Styling Unit comes in either a single unit, double unit or island size. 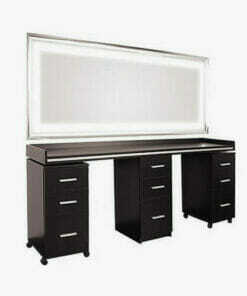 A compact and very practical styling unit at a very affordable price. 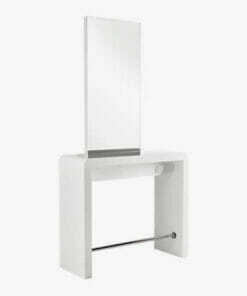 The Roma styling unit features two chrome supporting brackets which attach to the wall. 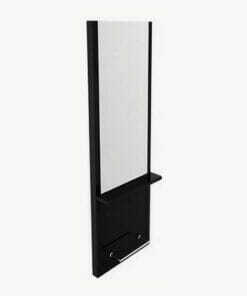 The Quadro unit with a large mirror face and compact integrated shelf, ideal for working salons. 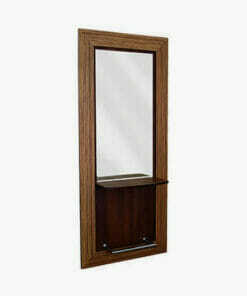 A simple styling unit with a quality finish which looks good in all salons. 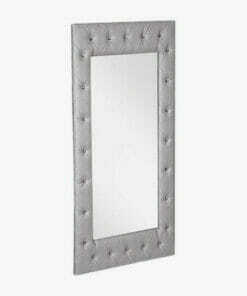 A unique upholsterd high quality styling unit with a stunning design. 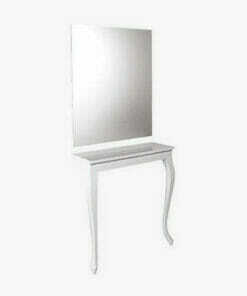 A great styling unit with side storage and footrest and stylish foot rest. 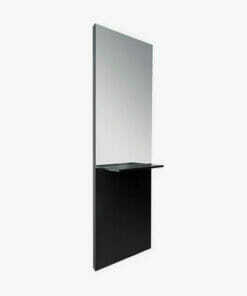 A stunning wall mounted styling unit with a unique laser cut perspex frame and large mirror. 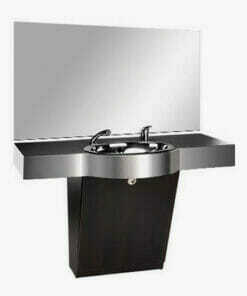 A beautifully crafted styling unit, made to a high standard and finished using quality materials. 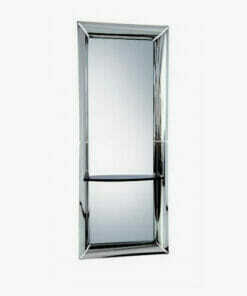 Royal Styling Unit available as either a single or double unit. 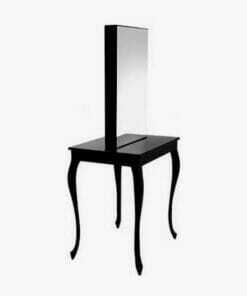 The Royal Island is an elegantly designed two seater island styling unit. 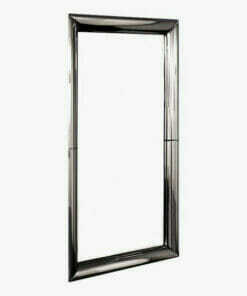 A stylish wall mounted unit, finished with a stunning stainless steel frame. 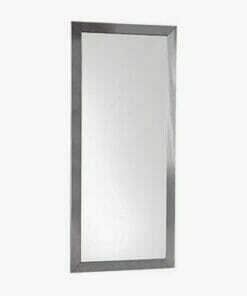 A great island unit featuring full length mirror and footrests and sockets. 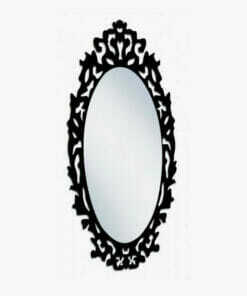 A unique oval designed wall mounted mirror, featuring a flawless laser cut perspex frame. 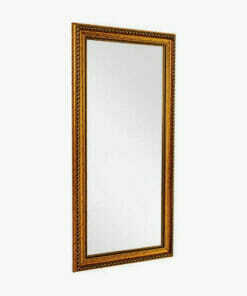 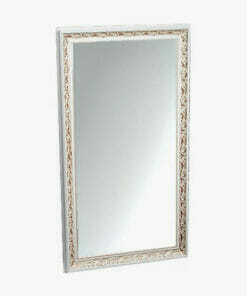 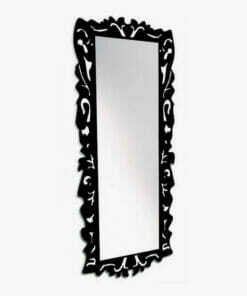 Has a elegant chiseled frame which is available in either gold or white with gold elements. 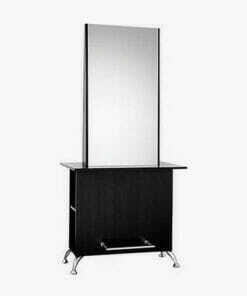 A beautifully designed styling unit and that is a fine crafted piece of salon furniture. The Yoko is a elegant styling unit with a high quality build and finish.